In Face the Music, Paul Stanley—the co-founder and famous “Starchild” frontman of KISS—reveals for the first time the incredible highs and equally incredible lows in his life both inside and outside the band. Face the Music is the shocking, funny, smart, inspirational story of one of rock’s most enduring icons and the group he helped create, define, and immortalize. 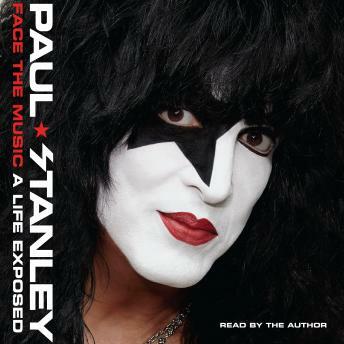 Stanley mixes compelling personal revelations and gripping, gritty war stories that will surprise even the most steadfast member of the KISS Army. He takes us back to his childhood in the 1950s and ’60s, a traumatic time made more painful thanks to a physical deformity. Born with a condition called microtia, he grew up partially deaf, with only one ear. But this instilled in him an inner drive to succeed in the most unlikely of pursuits: music. With never-before-seen photos and images throughout, Stanley’s memoir is a fully realized and unflinching portrait of a rock star, a chronicle of the stories behind the famous anthems, the many brawls and betrayals, and all the drama and pyrotechnics on and off the stage. Raw and confessional, Stanley offers candid insights into his personal relationships, and the turbulent dynamics with his bandmates over the past four decades. And no one comes out unscathed—including Stanley himself. I was a big Kiss fan growing up so this book was very interesting to me. I thought Paul did a great job with this book, it was not a braggadocios "I am so great" kind of book but one that showed emotion and true humility. Paul overcame tremendous odds and made it as one of the greatest rock legends of the 70's and 80's. His commitment to the band and his dream was inspiring!